Estate planning is an important step to ensure that your assets are distributed according to your wishes among your family. There are numerous factors to consider in estate planning and simply informing others of your wishes does not always mean they will be carried out. Wills and trusts are legal documents that outline the plan for the division of your assets and their terms must be carried out. To ensure that all needs will be legally met, you must work with an experienced wills and trust attorney to help with your estate planning. Wills and trusts are the two main types of documents used in estate planning. Our attorneys at Berry K. Tucker & Associates, Ltd. have extensive experience helping clients with wills and trusts in the Oak Lawn, IL area. These documents are personal documents and it is best to create them with your unique situation and assets in mind. Our attorney will assess your goals and help you draft a will or trust that will meet your wishes and comply with state and federal laws. You must take estate planning seriously because your plan will affect the future of your family, especially your children. Everything must be considered, including all of your assets and outstanding debts. Our attorneys will take the time to understand your financial situation, including any debts, as well as how you want to distribute your assets to help with the planning. We will advise you every step of the way to ensure that your documents are legally prepared so they can be properly executed. Our proficient wills and trust attorneys will provide you with their full attention before drafting the appropriate documentation to meet your needs. Creating a will is a difficult and overwhelming process. However, it is important to create a will and to keep it up to date as your assets or financial situation changes. 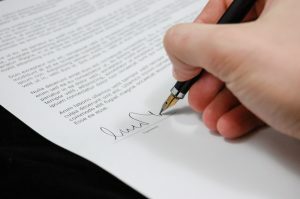 Our attorneys will help you draft a will according to your wishes. We will prepare the documents to ensure that they are legal and free of mistakes so that your wishes will be carried out when the time comes. You can count on our attorneys to help you create the right type of will for your situation, including simple wills and living wills. Trusts are another important part of estate planning. These documents help manage your assets and prepare for the future of your family. There are many different types of trusts that accomplish different things. Our trust attorneys can help you decide on the appropriate type of trust to accommodate your needs. 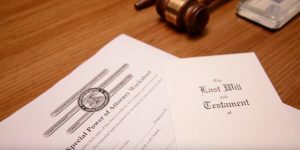 The most important thing that our will and trust attorneys will provide you with is peace of mind knowing that your estate planning documents are properly prepared and that the future of your family is secured. To speak with a professional estate planning attorney in the Oak Lawn, IL area, contact Berry K. Tucker & Associates, Ltd. at (708) 425-9530. We would love to meet you and help you secure the future of your family through effective estate planning.